Continuing Panel Borders’ month of shows about the depiction of travel in comic books, Alex Fitch talks to the award winning cartoonist Nick Abadzis about the recent Blank Slate Books collection of his much loved strip Hugo Tate, originally serialised in Deadline magazine. 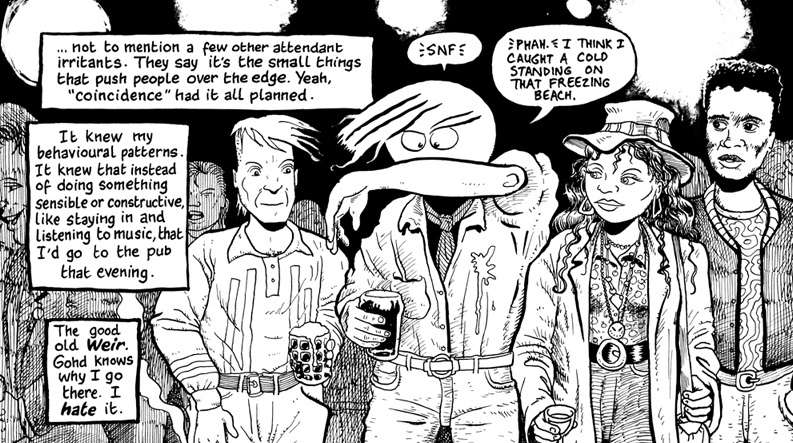 Alex and Nick discuss the autobiographic aspects of the serial, his experiences in the brief but influential wave of ‘adult’ British comics in the late 1980s and how the story reflects the difficulties of any Brit coming to terms with life in America. This entry was posted in Panel Borders on October 14, 2012 by alexfitch.